Imagine it’s a smoldering summer afternoon nearing the end of a school day, and you are sitting adjacent to a window, you briefly peer out the window and notice a flock of birds circling a piece of food in the courtyard. Suddenly, your eyes widen and your thoughts begin racing. You attempt to focus on what the teacher or professor is discussing but ultimately fail. Your hand takes ahold of a mind of its own and reaches for a pad of paper and pencil. The unavoidable urge to scribble your messy thoughts onto paper is unexplainable. As if you no longer maintain control over your body. This is it, this could be the exact idea you need for your next piece of writing that you have been searching for. The next day, you make sure to sit in the exact spot that you were previously seated in. You repetitively glance out the window in hopes of capturing the same emotion you had encountered the day before. You see the same flock of birds gathered in the opposite side of the court yard; yet nothing. 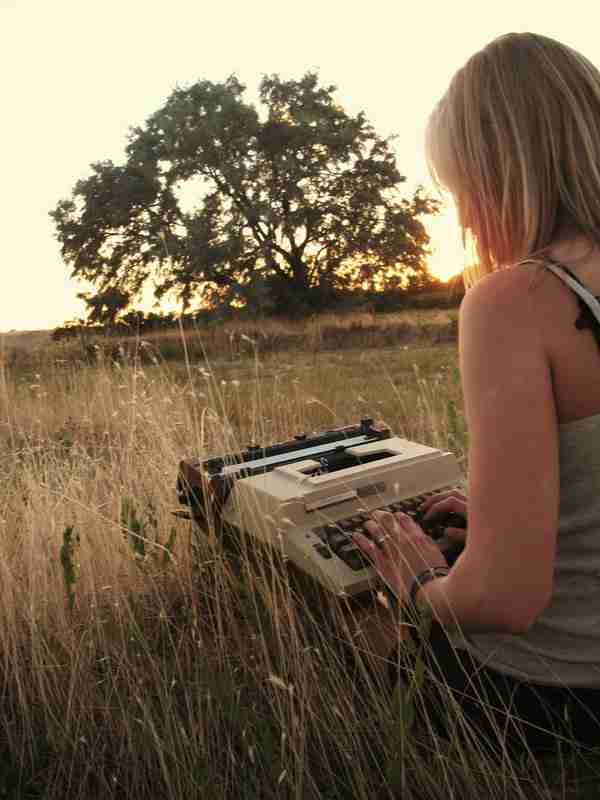 Great writing is anything that is written from the heart, which walks hand in hand with inspiration. Inspiration is one of the many marvels of the world. It’s what pumps the blood through your veins, enhances your creativity, and fills your mind with power and motivation. Inspiration attains such tremendous strength that many are taken aback when it arrives at their doorstep and warmly greets them. Inspiration is what holds the world together; without it, there would be nothing. Think of your favorite author, artist, actor, director, etc., where would that person be if inspiration had abandoned them? Most likely not where they are now. Much is to be drawn from this quote because it implies that although inspiration may not find us in our time of need, it is critical to continue writing because it will engage the creative part of our mind and not so much as create inspiration, but rather make room for it. King also made note in his memoir that it is widely important for a writer, especially a beginner, to immerse his or herself into a quiet, subdued area. “I think you begin by interpreting “write what you know” as broadly and inclusively as possible. If you’re a plumber, you know plumbing, but that is far from the extent of your knowledge; the heart also knows things, and so does the imagination. Thank God. If not for heart and imagination, the world of fiction would be a pretty seedy place. It might not even exist at all” (151). In other words, King is implying that it is important for a writer to write from their heart; they write things that feel right to them. He is also conveying that it is easiest for a person to become in touch with their heart when they are in a quiet and peaceful environment. “…most of my novels are inspired by events in my family, and sadly, that was the way that most of the family stories ended” (nicholassparks.com). Many writers utilize personal experiences, overheard conversations or literature as sources for inspiration. All of those things should be taken into consideration when a writer is embarking on the long journey to inspiration. Stephenie Meyer, author of the beloved Twilight series, confessed in her frequently asked questions section on her official website, that she had found inspiration for the series based on a peculiar dream she had endured the night before. “I was so intrigued by the nameless couple’s story that I hated the idea of forgetting it; it was the kind of dream that makes you want to call your friend and bore her with a detailed description” (stepheniemeyer.com). All in all, a writer should never force their writing; inspiration will come to them on it’s own terms. Neither Sparks nor Meyer strenuously acquired for their inspirations to come to them; they wrote what felt humanely right to them, whether it was based on family tragedy or a lucid dream. Personally, I have found multiple ways in which inspiration has come to me. Most importantly, I set aside time from my schedule specially meant to be utilized for me to write. At times, I will not have a slightest idea as to what I will write about. However, this technique has been effective because it stimulates the creative aspect of my mind. Another way in which I have found inspiration for writing is by writing things based off of my own personal experiences or the experiences of loved ones. I discovered that because I am emotionally tied to my own experiences and the experiences of loved ones, the writing flows easier. I also find inspiration by adventuring outdoors and observing scenery or by searching places around the world online, as a way to cement the setting of the story I desire to write. Once I see an intriguing piece of scenery, I suddenly imagine different characters and events taking place in front of it. The final way in which I have attained inspiration is by simply doing nothing at all. If I am faced with writer’s block, I take part in other activities as a way to distract myself from the impending problem. This diversion provides my mind with relief, rather than overthinking and overanalyzing every possible idea that my mind provides. Eventually, an idea springs itself upon me. In conclusion, any great writing comes from the heart with the prominent assistance of inspiration. Aspiring writers should never force their writing. If they do not find satisfaction in what they are writing, then they should not be writing it. If writers find themselves with an extreme case of writer’s block, then they should consider giving themselves a temporary break. Writers should also take personal experiences, experiences of loved ones, conversations they overhear, dreams, the outdoors, literature, etc. into consideration when writing. “Nicholas Sparks.” Nicholas Sparks. N.p., n.d. Web. 20 May 2014. <http:// nicholassparks.com/>. “StephenieMeyer.com | The Official Website of Stephenie Meyer.” Stephenie Meyer RSS. N.p., n.d. Web. 20 May 2014. <http://stepheniemeyer.com/>.